QUALITY tooling and cutting fluids with SERVICE and technical support are in more than our name. They are what Q & S has built our reputation on as an industrial distributor for over 50 years. 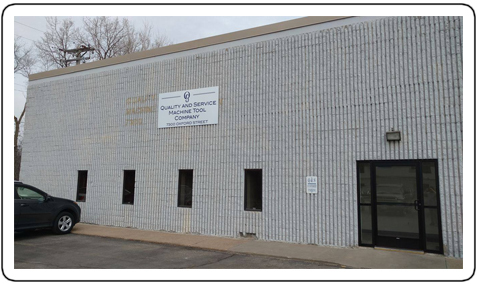 Our St Louis Park, Minnesota warehouse is stocked with Hangsterfers and Qualichem Metalworking Fluids, Cutting oils and Lubricants. We carry many insertable and solid carbide Milling, Turning, Boring, Grooving, Threading and Drilling products such as Mitsubishi, Iscar, PH Horn and Kyocera in stock for same day shipment or delivery. Along with a large range of cutting products, we also offer services such as Autocrib vending and inventory management software, Spindle Check precise spindle measurements and tooling repair and resharpening.